J K Janiga Architects believes integrating the design concept into all aspects of the project provides for the most successful final products. Involvement of our team in each step of the project from initial conception to completion of construction assures that no detail of the original design concept is overlooked. Through maintaining a small company we are able to provide this personal attention to each Client and their project. This personal attention and underlying philosophy is what assures each project ultimately exceeds the client's expectations. J. Scott Smith Visual Designs, Inc.
J. Scott Smith Visual Designs is a full-service design visualization firm located in Traverse City, MI and serving clients locally and throughout the country for over 15 years. We specialize in conceptual designs and renderings for everything from a single room remodel to the development of an entire new community. 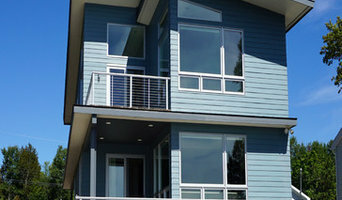 We work with everyone from homeowners to the various professionals involved in architecture and real estate development. In addition, we create virtual tours of existing properties using Matterport 3D scanning technology. 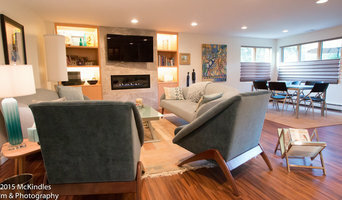 Regardless of the size of your project, with over 20 years of Interior Design experience, Lori Parkin works with you to achieve the design you are looking for. CUSTOM RESIDENTIAL ARCHITECTURE & DESIGN: Concept through construction drawings and selection of materials, fixtures and furnishings. Design feats maximizing functionality and aesthetics through use of natural light and unique site characteristics. From new custom homes to additions, remodeling & basement space planning, interior architecture & design, our ultimate success is when you love your home! Offering stylized design services, original solutions, and custom visions for residential and commercial projects, including expert 3D rendering to communicate clear design goals to clients in real-time. Competitive pricing. Dynamic Results. 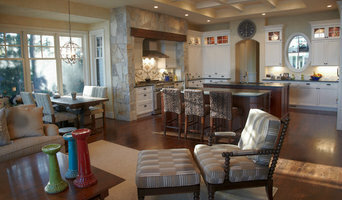 An award winning, design oriented, architectural firm specializing in custom renovations and additions, and new homes. We have been providing creative architectural services since 1989 throughout the state of Michigan, and in Florida and New Hampshire.